What: Horticulturalist Kirk R. Brown portrays America’s first professional botanist in a performance at the Inland Empire Gardeners’ monthly meeting. Where: CenterPlace Regional Event Center, 2426 N. Discovery Place, Spokane Valley. I don’t normally write theater reviews in this column but there’s a first time for everything. 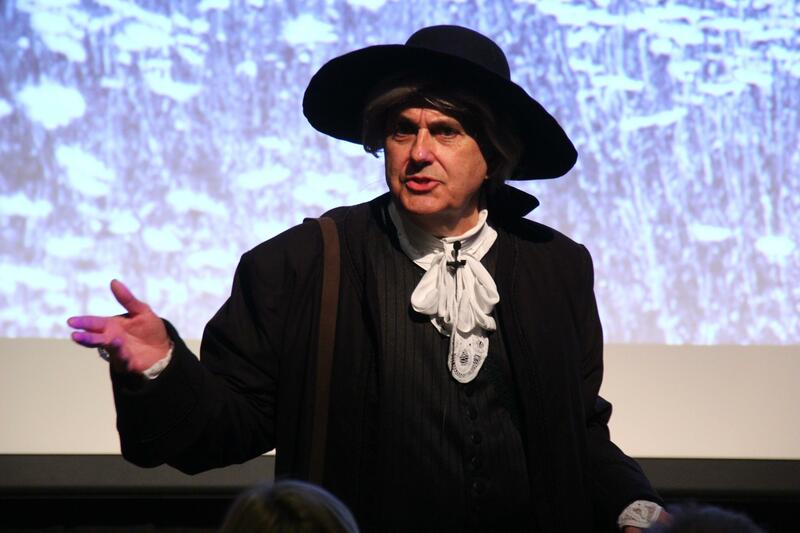 If you want to see a mesmerizing portrayal of the life and times of America’s first botanist, John Bartram, don’t miss horticulturist Kirk Brown’s performance of “John Bartram Lives” at the Inland Empire Gardeners monthly meeting this evening at CenterPlace in the Spokane Valley. Brown takes on the persona of Bartram and will regale his audience with stories of Bartram’s plant collection adventures in the new American colonies, sharing the finds with the likes of Karl Linnaeus and other European botanists and his opinions of the importance of the natural world. I have seen several of these performances, and they are always entertaining and educational. Bartram lived in the Philadelphia area in the late 1700s when the United States of America was a new country and largely unexplored. He came from a long line of horticulturalists who specialized in growing native plants for clients in Europe. His family created the first true botanic garden in the world dedicated to displaying the rich plant life of the new America. Largely self-taught, he made extensive collecting trips around the colonies. European botanists were eager to learn about the plants on this side of the Atlantic, and Bartram freely shared his research and plant identifications. In some ways he helped ignite the botanical exploration era when explorers under patronage from European royalty circled the globe in search of unique plants. Bartram also had a strong interest in medicinal plants and his work helped develop Philadelphia, his home city, into the center of pharmacology in the early United States. Brown has a background in theatrical design and has worked on numerous dramas and musicals over the years. He took up his personifications of John Bartram and Fredrick Law Olmstead, the landscape architect for Central Park and many other parks around the country at the Perennial Plant Alliance annual meeting in Philadelphia in 2008. He has gone on to present his alter egos to numerous other organizations including the Association of Garden Communicators where I have seen him several times. Brown is also a well-respected garden designer, keynote speaker, horticulturist, business lecturer and design class presenter. In the persona of Bartram, Brown also talks about the importance of understanding the interrelation of all species including us and the need to protect our world. Brown’s ability to merge our current environmental challenges with the perspective of the experiences from Bartram’s era makes for a thought-provoking performance as well as good entertainment. As Brown will be touring the Spokane area on Thursday before his performance he might just add some local notes to his dialogue. This will be Brown’s first visit to Spokane so he will be seeing many things with fresh eyes, eyes that will make for good theater and reflections. Pat Munts has gardened in the Spokane Valley for over 35 years. She is co-author of “Northwest Gardener’s Handbook” with Susan Mulvihill. She can be reached at pat@inlandnwgardening. com. Published: Nov. 1, 2017, 12:02 p.m.